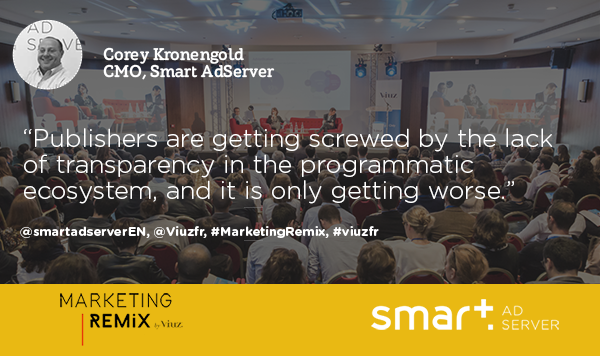 CMO Corey Kronengold addressed the French ad tech industry on Tuesday at Viuz’s annual Marketing Remix. 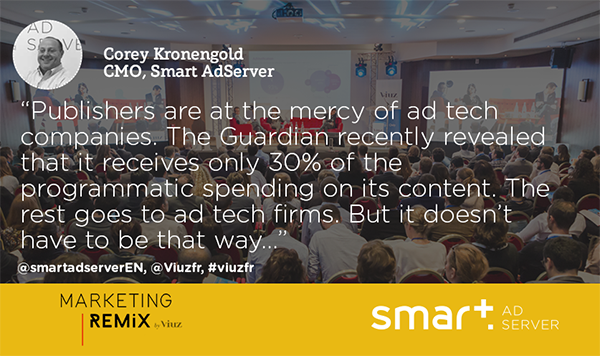 The day-long event focused on programmatic and featured a variety of players, both small and large. 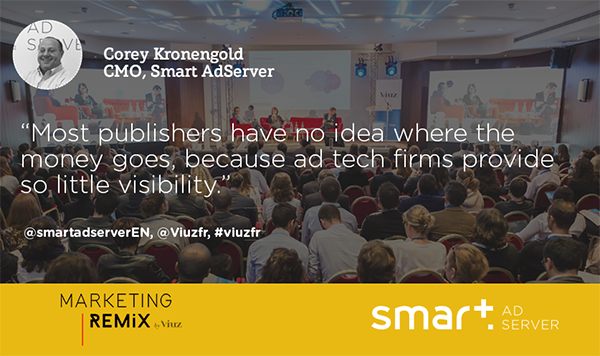 Viuz asked Corey to talk about transparency in ad tech, which is a major topic not only for SmartAdServer, but any publisher who wants to secure ad revenue so that they can continue making great content. Transparency is the only way for publishers to control potential earnings based on audience data and inventory. Corey concluded the speech by reminding publishers that they have the ability to make a change by demanding transparency across their entire stack. 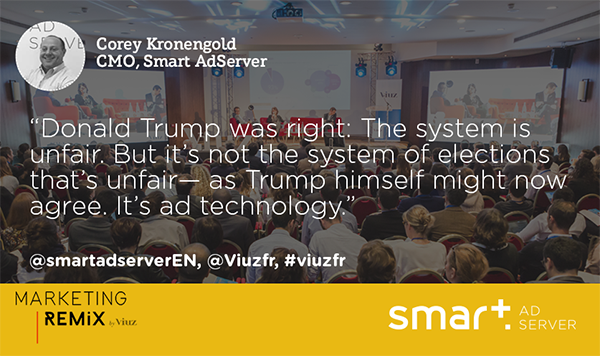 Moreover, transparency between advertisers and publishers is a good thing. If it reduces the inefficiencies that lead to arbitrage, advertisers could pay less and publishers would get paid more.